Vocational Education and Training (VET) has been the focus of change for some years. Many nations have developed VET systems with long-term strategies that benefit their economies, including co-ordinating economic, industrial and VET policies and achieving consensus among major stakeholders in the system. Changing Vocational Education and Training focuses on how the principles of stakeholding, consensus, participation and democracy can be applied to policy formulation and implementation. Case studies, presented and discussed by experts from eight nations, provide sound examples of practical strategies which have been successfully implemented. 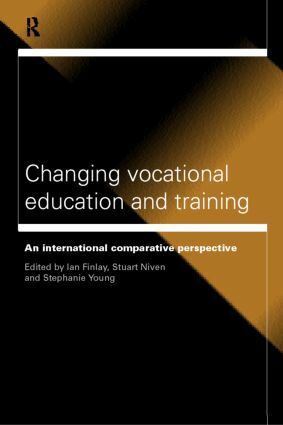 Changing Vocational Education and Training is a timely collection of the latest theory, research and practice in VET policy. It is essential reading for policy-makers, practitioners and academics.